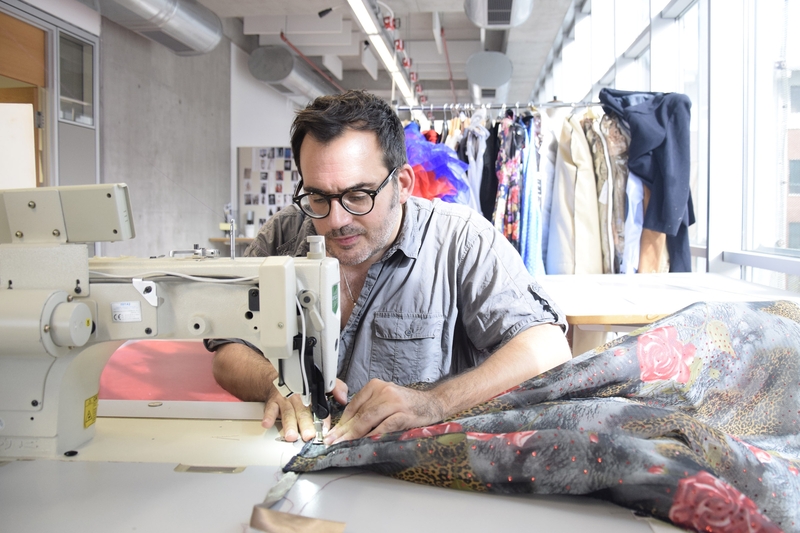 Jörn Fröhlich, Lecturer at Department of Fashion and Textile Design, Faculty of Fine Arts and Design, Izmir University of Economics (IUE), expressed his battle with cancer in his designs. Fröhlich, who was diagnosed with prostate cancer recently, created a collection titled “PSA”. For his collection created of waste fabrics, Fröhlich said, “I used kind of visible stitches on each piece of fabric, mimicking the texture of a wound in healing process”. Fröhlich used 15 different designs to express his illness and he said that he was diagnosed with cancer in October 2017. “Increased levels of PSA (Prostate-Specific Antigen) indicate a problem of the prostate. I named my designs ‘PSA’ and wanted to make a reference to this illness. I wanted to turn the difficulty of trying to cope with this illness into something beautiful. This can be thought as a personal break”. He thought of medical images as a color, texture, and shape, indicated Fröhlich, and he said, “All the fabrics I used in my creation represent the human tissue wastes tossed aside after the surgery. My entire collection is made up of used, waste fabrics that are not being used anymore. I took texture of wounds in healing process into consideration, and created organic shapes and textures by using minimum stitches. I created my collection by meticulously combining waste fabrics”.